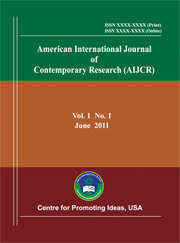 The purpose of this study was to investigate the nature of cooperation as teams between teachers using English and those using Arabic as the medium of instruction in teaching KG classes in ADEC (Abu Dhabi Educational Council) new school model United Arab Emirates.Research has confirmed the values and effects of organizational commitment in terms of job performance, organizational effectiveness, and employee retention. This study focused on the cooperation between teachers who use English and teachers who use Arabic as a medium of instruction. Quantitative data derived from responses of 40 KG teachers (Westerners and none Westerners) to a questionnaire using Likert-type scale. However the qualitative data achieved through the semistructured interviews with the teachers. Qualitative and quantitative methods used to analysis the data.This study provided an initial understanding of teacher cooperation and its effects on the successful of co-teaching in a dual linguistic classroom in the context of teams viewed as building blocks of organization in locally-managed schools by ADEC (Abu Dhabi Educational Council).